Everyone needs a little help from their friends—especially forgetful Dory! 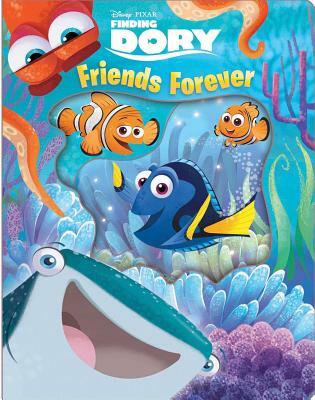 Dive into Dory's world and discover the finned and furry friends who help her locate her long-lost mom and dad. This magical book capture all the charm of her pals—old and new. Finding Dory tells the story of the beloved friendly-but-forgetful blue tang fish and her search for her loved ones. Along the way everyone learns a few things about the true meaning of family. This book has beautiful printed acetate panels throughout that create a dynamic visual effect of Dory's ocean world.